This is a scalable context timeline. It contains events related to the event March-April 2002: Some Report Possible 9/11 Hijacker Link to Anthrax Attacks, Despite Thin Evidence. You can narrow or broaden the context of this timeline by adjusting the zoom level. The lower the scale, the more relevant the items on average will be, while the higher the scale, the less relevant the items, on average, will be. 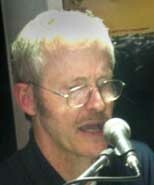 Bruce Ivins playing keyboards in a Celtic band. 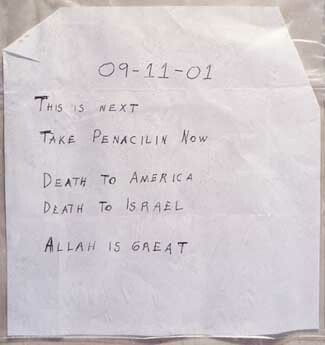 [Source: New York Times]Future anthrax attacks suspect Bruce Ivins expresses anger at the 9/11 attacks in e-mails. Barbara Hatch Rosenberg. [Source: Public domain]In February 2002, Dr. Barbara Hatch Rosenberg claims in a public speech at Princeton University that she knows the identity of the killer behind the 2001 anthrax attacks (see October 5-November 21, 2001). Rosenberg is a professor of molecular biology at the State University of New York at Purchase, and a biological arms control expert. She states: “There are a number of insiders—government insiders—who know people in the anthrax field who have a common suspect. The FBI has questioned that person more than once… so it looks as though the FBI is taking that person very seriously.” She also claims that the FBI is not that interested in going after this suspect because “[t]his guy knows too much, and knows things the US isn’t very anxious to publicize” (see February 8, 2002). In June 2002, she puts out a paper that details her theory about this suspect. She states that “a number of inside experts (at least five that I know about) gave the FBI the name of one specific person as the most likely suspect.” That same month, she presents her ideas to Senators Tom Daschle and Patrick Leahy, both of whom had been targeted in the anthrax attacks. She also is invited to brief the Senate Judiciary Committee and the Senate Intelligence Committee (see June 24, 2002). 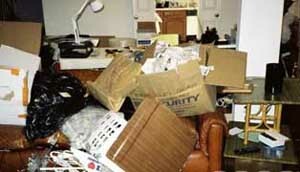 Immediately after this, the FBI searches Hatfill’s home while reporters watch, putting him in the public eye as a possible suspect (see June 25, 2002). Rosenberg later denies ever mentioning Hatfill by name. However, one reporter later claims that Rosenberg had specifically given Hatfill’s name as the lead suspect. Furthermore, the description of her suspect exactly matches Hatfill. Hatfill will later blame Rosenberg for the FBI’s interest in him. He will say: “She’s crazy. She caused it.” [Washington City Paper, 7/25/2003] In 2008, Hatfill will be officially cleared of any involvement in the anthrax attacks (see August 8, 2008). Nicholas Kristof. [Source: Publicity photo]Columnist Nicholas Kristof writes a series of articles in the New York Times suggesting that Steven Hatfill could be responsible for the 2001 anthrax attacks (see October 5-November 21, 2001). His columns start out vague. In his first column on the subject on May 24, 2002, he speaks of an unnamed “middle-aged American who has worked for the United States military bio-defense program and had access to the labs at Fort Detrick, Maryland. His anthrax vaccinations are up to date, he unquestionably had the ability to make first-rate anthrax, and he was upset at the United States government in the period preceding the anthrax attack.” [New York Times, 5/24/2002] Kristof writes in his next column: “Some in the biodefense community think they know a likely culprit, whom I’ll call Mr. Z. 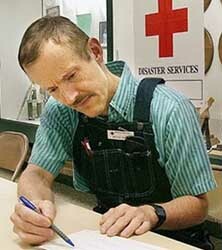 Although the bureau has polygraphed Mr. Z, searched his home twice and interviewed him four times, it has not placed him under surveillance or asked its outside handwriting expert to compare his writing to that on the anthrax letters.” [New York Times, 7/2/2002] His next column suggests Mr. Z could have been behind a fake anthrax scare in 1997 (see April 24, 1997). [New York Times, 7/12/2002] In his final column, he reveals that Mr. Z is in fact Steven Hatfill, the FBI’s prime suspect at the time. Kristof writes: “There is not a shred of traditional physical evidence linking him to the attacks. Still, Dr. Hatfill is wrong to suggest that the FBI has casually designated him the anthrax ‘fall guy.’ The authorities’ interest in Dr. Hatfill arises from a range of factors, including his expertise in dry biological warfare agents, his access to Fort Detrick labs where anthrax spores were kept (although he did not work with anthrax there) and the animus to some federal agencies that shows up in his private writings. He has also failed three successive polygraph examinations since January, and canceled plans for another polygraph exam two weeks ago.” [New York Times, 8/13/2002] Many of the allegations in Kristof’s articles will turn out to be incorrect. The US government will finally clear Hatfill of any connection to the anthrax attacks in 2008 (see August 8, 2008). Entity Tags: Van Harp, Steven Hatfill, Federal Bureau of Investigation, Roscoe Howard Jr. It is reported on ABC World News Tonight that Steven Hatfill is “known as a person who has worked around anthrax experts, although the FBI concedes he could not himself make anthrax, does not have what they call ‘the bench skills’ to make it.” Hatfill is the FBI’s only publicly named suspect in the 2001 anthrax attacks at this time (see October 5-November 21, 2001 and August 1, 2002). [ABC News, 8/11/2002] But despite this, the FBI will continue to focus on Hatfill for years and apparently will not even consider the possibility of accomplices. Peter Jennings reports on ABC News’ World News Tonight, “The FBI tells ABC News it is very confident that it has found the person responsible” for the 2001 anthrax attacks (see October 5-November 21, 2001). Reporter Brian Ross explains, “That’s right, Peter, Steven Hatfill. And while there’s no direct evidence, authorities say they are building what they describe as a growing case of circumstantial evidence.” [Salon, 8/10/2008] In 2008, Hatfill will be exonerated and given a large cash settlement after a federal judge states there “is not a scintilla of evidence” linking him to the anthrax attacks (see June 27, 2008). Scientist Steven Hatfill files a lawsuit against Attorney General John Ashcroft, the Justice Department, and FBI, saying his constitutional rights have been violated. Hatfill has been named by the FBI as a “person of interest” in the 2001 anthrax attacks (see October 5-November 21, 2001), but has not been charged or officially declared a suspect. His attorneys claim the FBI deliberately tipped off the media to searches of his house to hide the fact that the anthrax investigation was making little progress. They say 24-hour surveillance and wiretaps violated his privacy (see July 2002-Late 2003). [CNN, 8/26/2003] In 2008, Hatfill will settle out of court and receive nearly $6 million in compensation from the government (see June 27, 2008). Kenneth Berry. [Source: Public domain]On August 5, 2004, FBI agents target Dr. Kenneth Berry for a role in the 2001 anthrax attacks (see October 5-November 21, 2001). 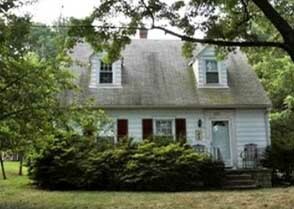 Agents raid his home and former apartment in Wellsville, New York, as well as his parents’ apartment in New Jersey. Agents cordon off streets and search the residences wearing biochemical protective suits. This becomes a highly publicized media spectacle. But Berry is not charged or arrested. The raids are the culmination of an 18-month investigation. For instance, in July, dozens of his associates were interviewed. Berry apparently panics and gets in a fight with his wife and stepchildren. A restraining order prevents him from returning home and he is eventually divorced. He also loses his job. By October 2004, government officials say their investigation has uncovered nothing that would implicate him in the anthrax attacks, but he is not officially cleared of suspicion. An aerial view of USAMRIID in 2005. [Source: Sam Yu / Frederick News-Post]By the end of March 2005, the FBI clearly suspects Bruce Ivins for the 2001 anthrax attacks (see October 5-November 21, 2001). 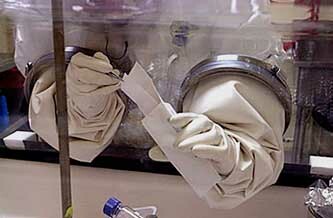 Ivins works at USAMRIID, the US Army’s top bioweapons laboratory, and his lab was raided by the FBI to find Ivins’ anthrax samples (see July 16, 2004). 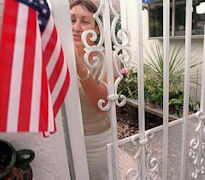 He has been questioned about suspicious behavior around the time of the attacks and since (see March 31, 2005). Yet Ivins is still allowed to work with anthrax and other deadly germs at USAMRIID. McClatchy Newspapers will report in August 2008, “[A] mystery is why Ivins wasn’t escorted from [USAMRIID] until last month when the FBI had discovered by 2005 that he’d failed to turn over samples of all the anthrax in his lab, as agents had requested three years earlier.” In 2003, USAMRIID implemented a biosurety program that required all scientists working there to undergo regular intrusive background checks, which includes disclosure of mental health issues. They also have to undergo periodic FBI background checks to retain their security clearances. Jeffrey Adamovicz, head of USAMRIID’s bacteriology division in 2003 and 2004, will later say that USAMRIID officials knew at least by late 2006 that Ivins was a suspect, yet he maintained his lab access and security clearances until July 10, 2008, shortly before his suicide later that month (see July 10, 2008 and July 29, 2008). Adamovicz will say, “It’s hard to understand if there was all this negative information out there on Bruce, why wasn’t it picked up in the biosurety program or by law enforcement.” [McClatchy Newspapers, 8/7/2008] By contrast, anthrax attacks suspect Steven Hatfill lost his security clearance in 2001 after it was discovered he had misrepresented some items on his resume (see August 23, 2001). 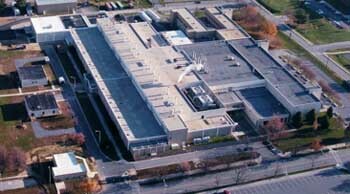 USAMRIID, the US Army’s top bioweapons lab in Frederick, Maryland. The University of Scranton, in Pennsylvania. A scientist there had been conducting bioweapons research of interest to the US military. A judge says that the FBI has no evidence against Steven Hatfill, who has been the only publicly named suspect so far in the 2001 anthrax attacks (see October 5-November 21, 2001). Reggie Walton, the federal judge presiding over a lawsuit brought by Hatfill against the Justice Department and the FBI for damaging his reputation, says in court, “There is not a scintilla of evidence that would indicate that Dr. Hatfill had anything to do with [the anthrax attacks].” Walton has reviewed four still secret FBI memos about the status of the anthrax investigation. [Los Angeles Times, 6/28/2008] Later in the year, Hatfill will settle with the government and will be awarded $6 million (see June 27, 2008). Melanie Ulrich. 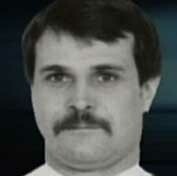 [Source: Andrew Schotz]On August 1, 2008, it is first reported that Bruce Ivins, a scientist at USAMRIID, the US Army’s top bioweapons laboratory at Fort Detrick, Maryland, apparently killed himself after the FBI made him their chief suspect in the 2001 anthrax attacks (see October 5-November 21, 2001). But many of Ivins’s colleagues at USAMRIID doubt that he was the killer. Also on August 2, Dr. Kenneth Hedlund, the former chief of bacteriology as USAMRIID, says, “He did not seem to have any particular grudges or idiosyncrasies.… He was the last person you would have suspected to be involved in something like this.” [New York Times, 8/2/2008] Three days later, Hedlund adds, “I think he’s a convenient fall guy. They can say, ‘OK, we found him, case closed, we’re going home. The FBI apparently applied a lot of pressure to all the investigators there, and they found the weakest link.” He also says that Ivins was a bacteriologist and lacked the expertise to convert the anthrax into the deadly form used in the 2001 attacks. The Justice Department formally clears Steven Hatfill of any involvement in the 2001 anthrax attacks (see October 5-November 21, 2001). 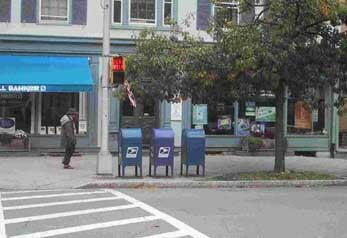 The department sends a letter to Hatfill’s lawyer, stating: “We have concluded, based on lab access records, witness accounts, and other information, that Dr. Hatfill did not have access to the particular anthrax used in the attacks, and that he was not involved in the anthrax mailings.” [MSNBC, 8/8/2008] Hatfill won $5.8 million from the government in a settlement in June 2008, but the government admitted no wrongdoing and did not make any statement officially clearing him (see June 27, 2008).